This Unbelievable Brand New Lake View Home is now ready for you to move right in. This home features open floor plan, hardwood floors, trendy solid wood cabinet with pantry, spacious bedrooms, main floor laundry, 2 car garage, and all new, new, new!!! You will love the covered front porch and also the large cedar deck that wraps around the side of home. What a view of Lake Capri!! 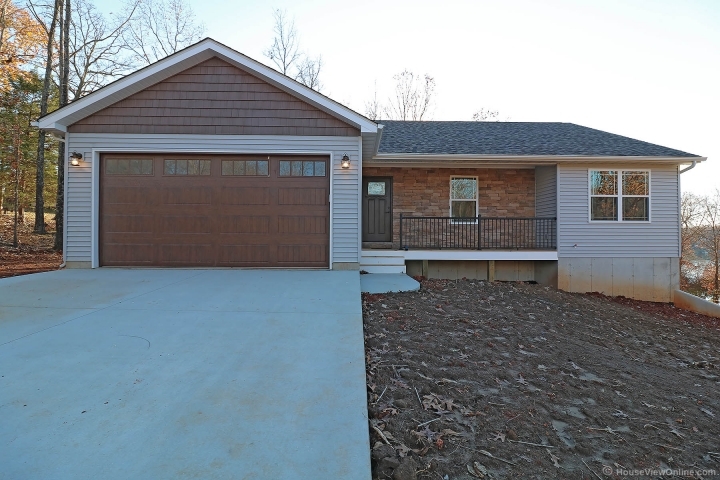 The walkout basement features, rough in plumbing for bathroom, and garage door for your extra parking needs(golf cart, side by sides, etc) Sit on the deck and watch the wildlife that thrives in Terre Du Lac. Terre Du Lac is a Private Lake Community with 16 lakes, 2 golf courses, beaches, parks, and so much more. More picture of inside will be loaded Wednesday.